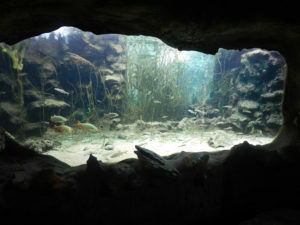 The Aquarium of black Périgord is with over 6000 fish, the largest freshwater aquarium deprived of France. It is located in the Dordogne, in the village of Bugue, right next to the village of Bournat. 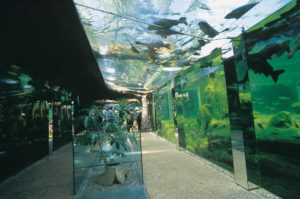 The Aquarium of the Périgord Noir had opened to the public on 11 July 1989. The "Iguana Park" is created in 2009. Pikes, catfishes, sturgeons and other fluvial species are presented to the public through the windows. 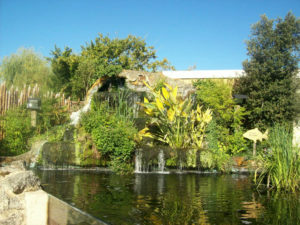 Created in 2009, for the twenty years of the aquarium, the "Iguana Park" lets to discover more than forty species of reptiles: lizards, snakes, turtles, iguanas. In 2011, the aquarium has acquired an anaconda of six meters. In 2012, a couple of spectacled caimans completes the collection of the Iguana Park. 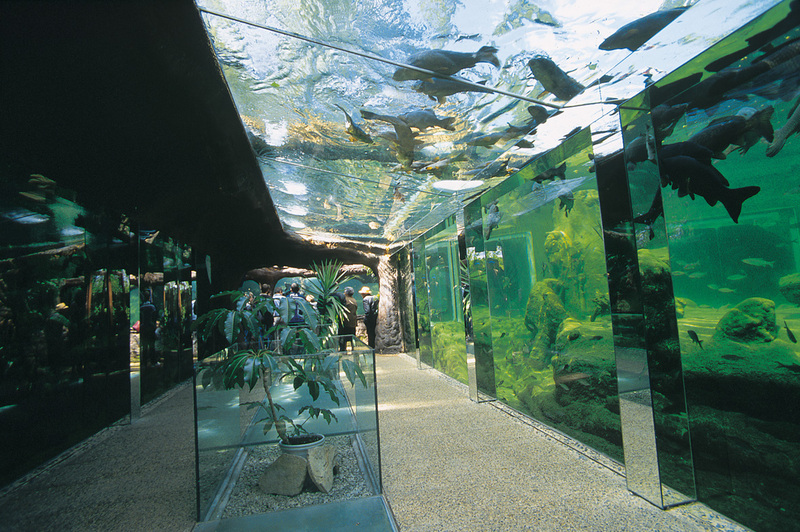 In 2014, for its 25 years, the Aquarium of black Périgord creates a new zone : the "Alligator Park". This themed area on the bayous of Louisiana lets to discover alligators.